Every financial services company has a target audience; these audiences usually fall into one of the following three categories: institutional clients, financial advisors, and, last but certainly not least, retail investors. Although retail investors may not be the most sophisticated of the “slices” of audience that financial marketers can target, by virtue of their share numbers, they are one of the most important. By some estimates, the retail investor market consists of at least 50 million households in the US, and as many as half of all workers have investment savings accounts such as 401(k)s. Clearly, successful communication with this critical demographic can have a potentially huge impact on financial services companies’ bottom lines. So how can financial marketers reach this important segment? What follows are a few tips. Attention spans, both among retail investors and otherwise, are shrinking all the time, so there is no time to waste. Even if you’re trying to get an extremely arcane concept across, retail investors may never even make it to the important parts of your content if they lose interest within the first few sentences. This can often be accomplished with a thought-provoking question or anecdote ending in a cliff-hanger, leaving the reader wanting more. We’ve also seen ETF issuers successful connect with retail investors through short, animated videos; learn more here. With retail investors, an authentic, personal touch can sometimes make all the difference. This means speaking directly to the reader or audience whenever possible, using words like “you” “your” and so on. 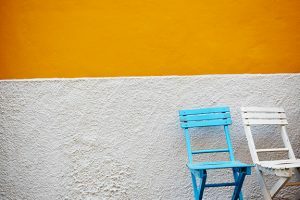 Although subtle, these phrasings enable investors to draw a more direct connection between themselves and the content they’re consuming. Whenever possible, investors should be able to draw a straight line from the product or service they are learning about to their own experiences. Most retail investors do not spend their days and nights poring through financial news or educating themselves about arcane financial topics. If you have a complex concept to get across, it’s important not to take any financial terminology for granted. This means building from simple, more familiar concepts to more complex topics. Often enough, starting with simple concepts means defining your terms and taking nothing for granted. How sure are you that a retail investor knows what “market cap” means, anyway? In other words, you should avoid immediately diving into advanced, unfamiliar financial topics. This approach will quickly leave retail investors disoriented and frustrated, which will likely turn them off to the message you’re seeking to get across. Fixed income, dividend yield, and risk tolerance are abstract concepts that often only make sense to retail investors within the broader context of concrete goals. Examples from real life, such as saving for college, buying a house, or investing for retirement are all viable ways to connect abstract investment concepts to concrete goals. These concrete goals can help provide much of the “so what” behind effective investor education. Communicating effectively with retail investors requires a light, patient touch. It means taking a step back from complex financial concepts and focusing on concrete goals, defining terms, and logically ordering content in a way that hooks an audience’s attention without insulting their intelligence. By tapping into these and other tips, ETF marketers will be well-positioned to succeed in getting their products into the hands of retail investors.